There are only three ways to make the role of Quasimodo more Oscar baity; Set the story during WW2, make it about actors being great or have Quasimodo eat a raw bison liver or all three! Sure it would be a weird adaptation but you got to hedge your Oscar bets. 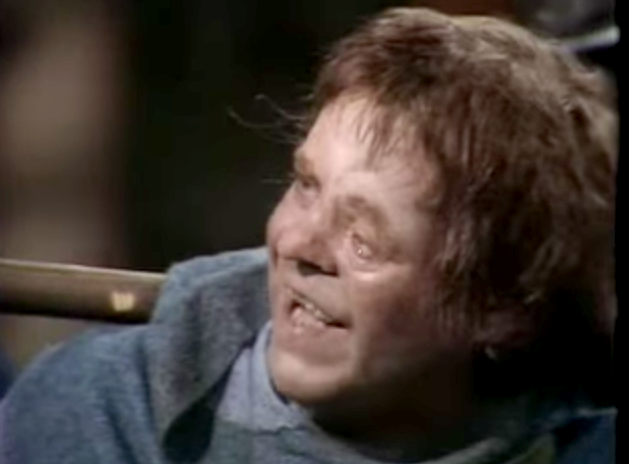 All kidding aside, Quasimodo is the dream role for an actor to get acting accolades, it’s combines a demanding physical performance with a deeply emotional one. Plus actors love playing ugly characters, that’s how you know they’re good at acting. 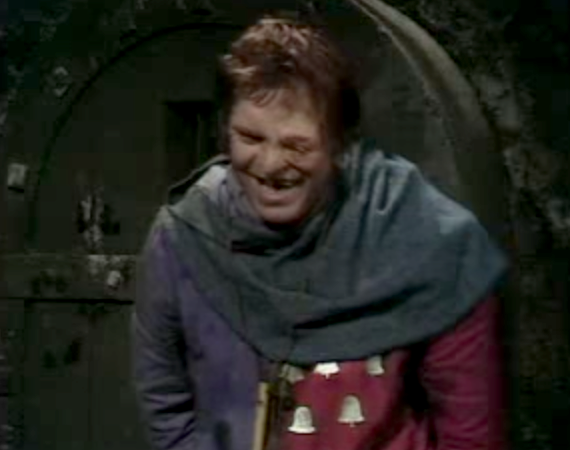 One would think that most Quasimodo since Laughton would keep that mode of Quasimodo, the sad type, that was the angle of the 1997 version. Or they would keep to the book and give Quasimodo his mild arc of hating people except Frollo and then liking Esmeralda more than his own life. Disney deviated to give him arc about overcoming his oppressor. However the 1977 version follows more the 1956 approach the character in that while he there he has no personality. 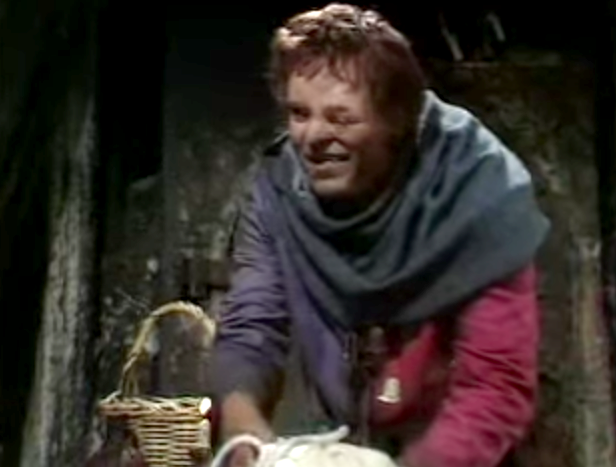 Like Quinn’s version, Warren Clarke plays, or was directed to play, Quasimodo as super happy. 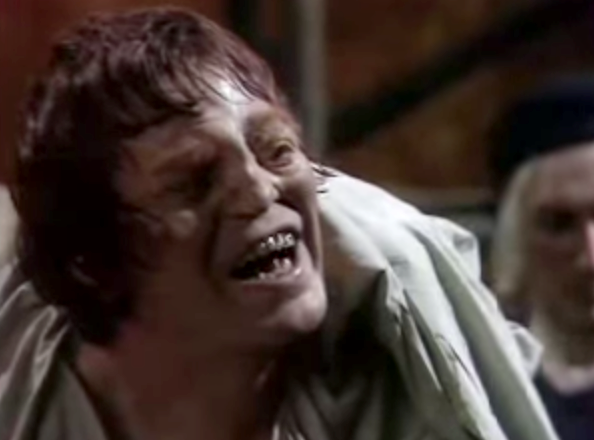 This is the happiest Quasimodo ever. Either he has a mental deficiency in addition to being deaf or he is just so happy. Doesn’t make for a compelling character if he just happy. So when he tells Esmeralda that he wishes he was like Djali or that he would jump with just a look or cries when Esmeralda yells at him it doesn’t feel in character. It a shame since Clarke seems like he could have pulled off the character with better direction and writing. Even the psychically it just lacking. 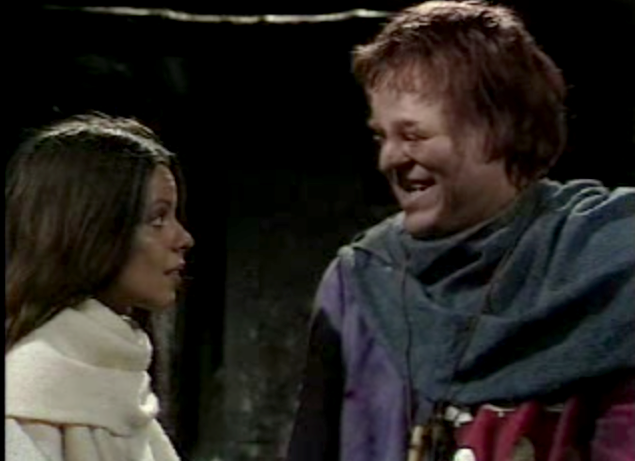 Clarke has a hunch as part of his costume, which is standard, bit most of the other actor still hunch expect for Quinn and one of the Russian Quasimodo from Notre Dame de Paris. It’s liked there were different visions for this version of the character and they somehow all made it to screen and the result is just a weird smiling mess.